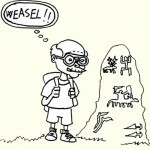 While reading an online newspaper, a little thumbnail of a picture attracted my attention: I am an Italian “rupestrian” archaeologist. A curious series of circles or spirals stood out against a white background. 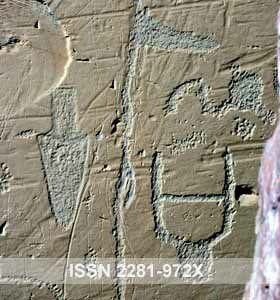 Suddenly the Carschenna petroglyphs crossed my mind, and I was very pleased that a prehistoric rock art subject had reached the first page of an important media. But, on opening the linked movie and photogallery, I realized that the circles weren’t engraved on a rock surface, and that, on the contrary, the white background was actually a wonderful snowy landscape. 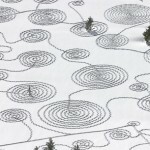 The circular composition was an example of a contemporary land-art performance, a beautiful, most impressive landscape drawing which had been embroidered over the Rabbit Ears Pass in Colorado by the Californian artist Sonja Hinrichsen. 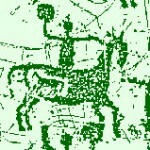 It was, de facto, a geoglyph, even if a totally ephemeral one! The artist, contacted by the archaeologist, was extremely helpful in replying to the questions that the latter proceeded to ask her. 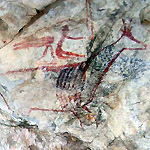 The archaeologist’s considerations, together with the artist’s replies, are now the subject of the text of this short paper, which we hope will lead to some discussion among members of the rock art scholars milieu. So, to business. 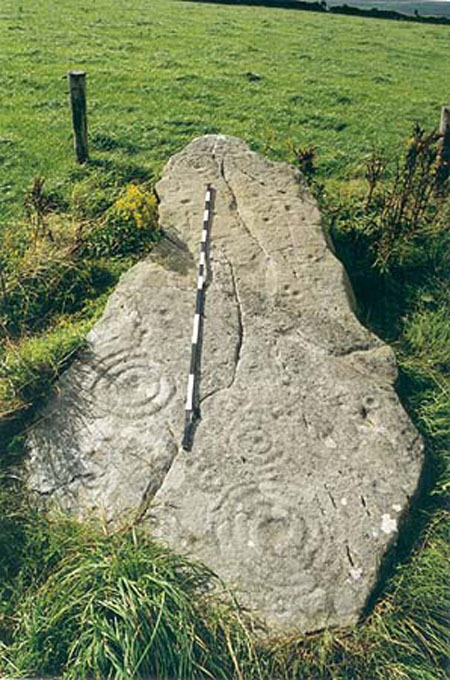 Apparently, what we had was a composition created by walking around on a snowy field, and marking by footsteps, various spirals, without, however, ever repeating the same track – and then joining them together by lines – paths in this case – which were very similar, if not identical, to the engraved patterns of the so called “cup-and-ring” prehistoric rock art style. 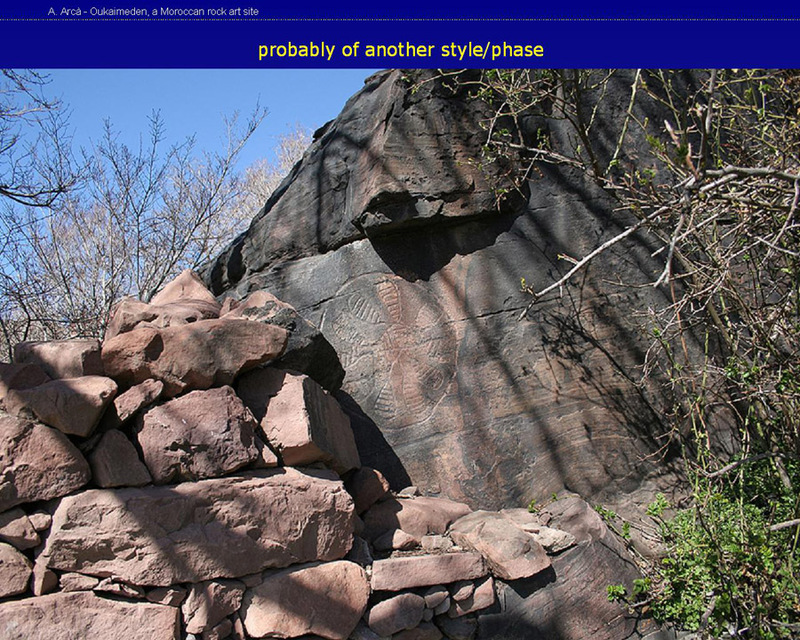 Now, this style is widely – and often incomprehensibly (because a few sites don’t constitute a network) – diffused in Europe, in areas like Galloway, Ireland, Galicia, Switzerland (where we can find the Carschenna site, near Chur, Graubunden) – and even Sardinia; related samples are shown in the attached pictures. 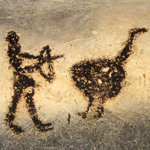 Generally this art is dated from the Neolithic period, and, particularly in the British Isles, to the Bronze Age, i.e. 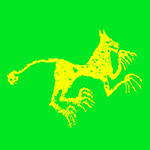 III-II mill. BC. 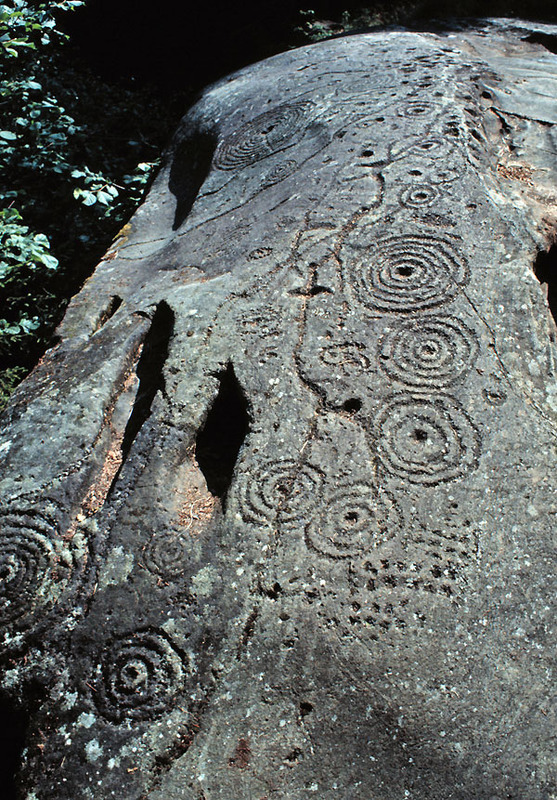 Looking carefully at the Carschenna petroglyphs, it is possible to note that the concentric circles/spirals patterns are covered – and so are more ancient than the former – by a network of cup-marks and channels, and by first Iron Age schematic riding scenes. What are the similarities? What are the differences? Is there a common meeting point, or are we simply facing a graphic coincidence? Dare we tiptoe into the domain of an interpretation – or do we have to reluctantly admit that it’s only a casual, meaningless accident? 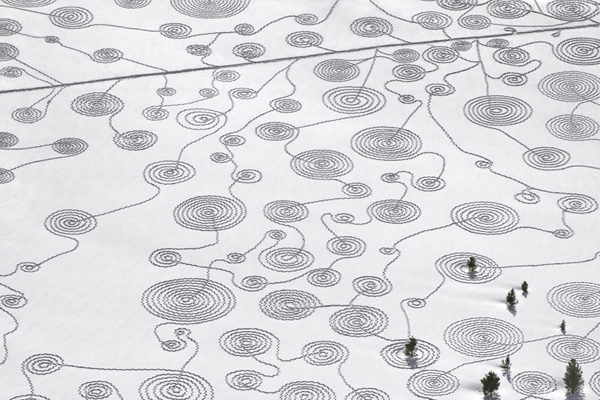 aerial photography is the best way of viewing snow-circles; rock-art patterns too seem to show a sort of a zenith point of view. 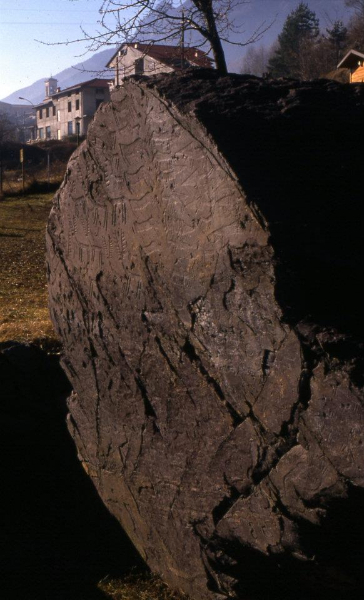 other motifs, but probably of different ages, are present on the engraved rocks; still, meandering and other patterns have often been seen in the creations of contemporary artists. 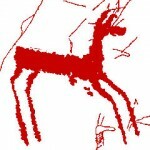 It does need to be specified that the artist, while being familiar with Native American Rock Art in North America, was unaware of the presence of the so-called cup-and-rings European petroglyphs. It is convenient to quote here some of Sonja Hinrichsen’s statements. 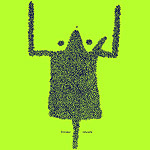 “I am an artist based in the San Francisco Bay Area in California. 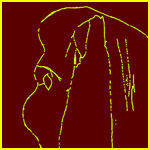 However, I travel a lot and most of my artwork is created in rural areas. 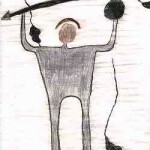 I am interested in exploring issues around the natural environment and how environments have been perceived and utilized by humans throughout history. 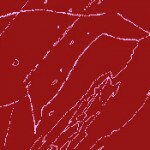 Some of my works are more based on exploration, research and documenting. Those often become immersive video installations with several video projections and sound, so that the viewers enter a surround experience. 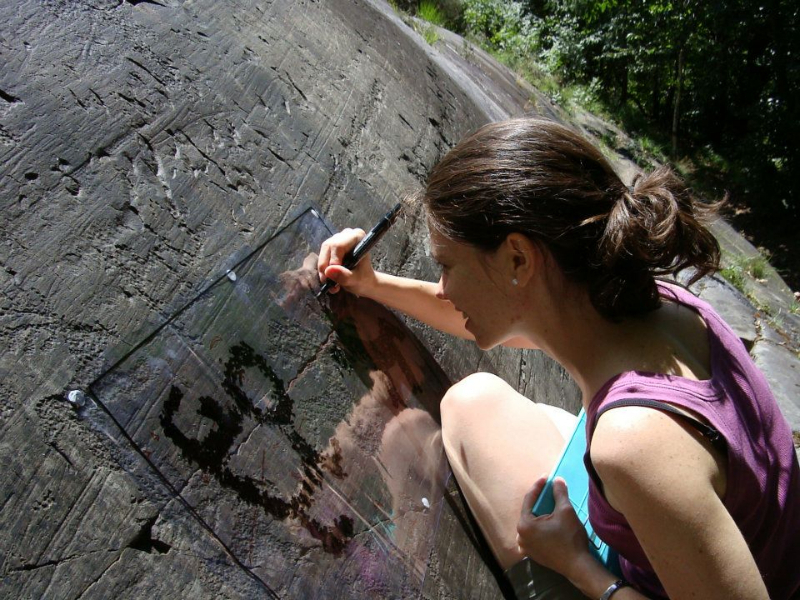 Other works are more intuitive and are interventions in the environment, where I perform certain actions to create temporary artworks that will be erased by nature shortly after. 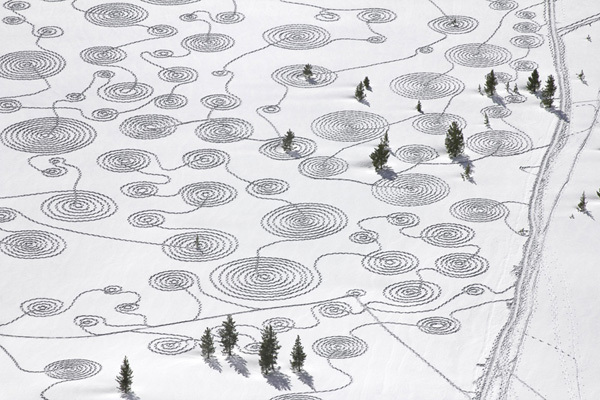 The Snow Drawings project started out of play during an artist residency in the Rocky Mountains in Colorado in 2009. There were large areas of snow without any tracks in them, because the snow was so deep that no one stepped in there, not even wildlife. To me these huge areas of snow looked like very big canvases and I wanted to do something with them. I had been to this area of Colorado before and so this time I brought snowshoes with me, as I knew that with snowshoes I would be able to enter these huge fields of snow without sinking in to my waist. I started creating patterns immediately, just playing at first. Then I started taking photos of them and discovered that it was quite interesting working with different light, meaning different angles of the sun – depending how the sun hits the imprints the drawings can appear white on a grayish surface or like a dark line on a very bright surface. I started thinking up more elaborate patterns in my head and tried to transfer them onto the snow. The snow literally became my canvas and I became the pen. I realized how the landscape defines the drawings and vice versa, so I decided to find other places to create snow drawings. The drawings became bigger and bigger, and I finally came up with the idea to involve other people in the creation of these pieces. So this winter I organized three Snow Drawing community events and anyone who wanted could participate. The project was co-organized by the Nature Conservancy of Colorado and the Steamboat Arts Council, where I had a show at the time, with photographs of last year’s Snow Drawings. I plan to continue this work in the coming winters. There has been discussion of an even bigger project near Steamboat Springs, but I also plan to continue doing them in different kinds of landscapes and geographical regions. It seems like the project is growing, both in terms of size of the drawings, and in terms of different locations. 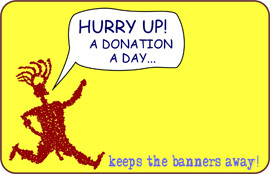 I think the concept to do these with volunteers really broadens the possibilities, and also adds a new focus, as they become community projects, which I really love, because my work is always about experience and perception. I hope that the works I create in the landscape accentuate the natural environment and arouse appreciation for the natural world. 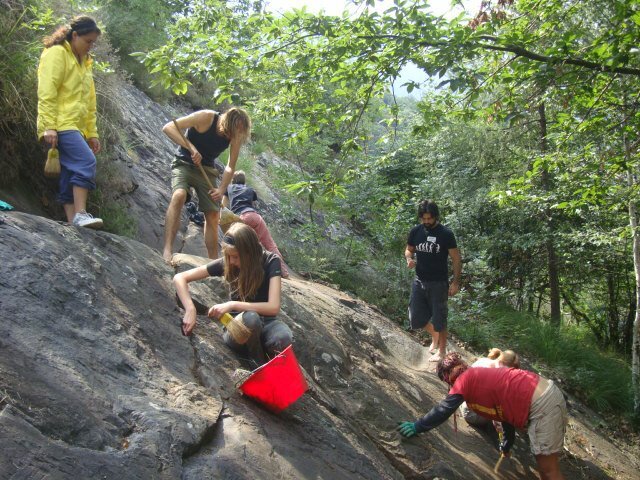 I think that it is important for us (mankind) to change our attitude toward nature. I feel like modern society has lost connection to the natural world and tends to see it mostly as a resource for the materials we need to satisfy our extravagant lifestyles; and as a dumping ground for our toxic waste. I am pretty convinced that we need to reconnect to the natural world and live in a better harmony with it, if we want future generations to be able to continue life on this planet. All of my interventive projects have a ritual to them. In the case of the snow drawings, I can say that it is very meditative to walk these patterns, focus on them and at the same time on the environment. It is also very physical and can be really exhausting if it is a large piece. It takes several hours. 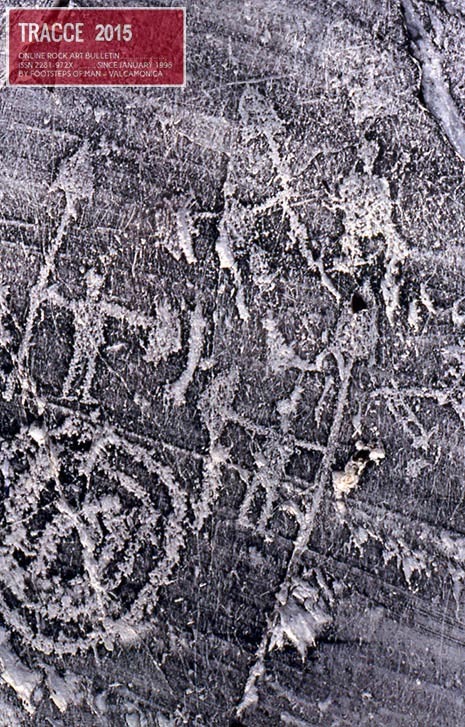 The Snow Drawings at Rabbit Ears Pass were created with the help of volunteers – people who had never done this before, but who like outdoor activity. They were very excited about participating in this project and all of them really enjoyed the work. It was very fun to see how the piece evolved so fast. We were six people working on the first piece (the one you saw on the photos) and it was exciting to see how the piece evolved from different sides, got bigger and bigger and grew together to be one piece. I was not familiar with “cups and rings” patterns. 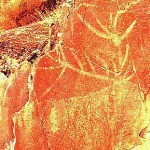 I have seen a lot of Rock Art in the United States – Native American relics– we call them petroglyphs. 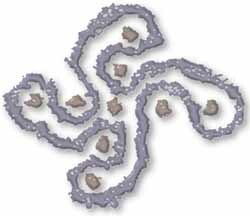 There are some spiral shapes too, and also the maze that one of your example websites shows, but I haven’t seen anything that had as much resemblance to my snow drawings as the examples of European “cup and rings” patterns that you sent me. I think that circular shapes and spiral movements are inherent in us as humans. They have so many references to nature – for example the way water moves when it is released through a narrow opening (maelstrom) – that is a spiral movement. Then of course there are a lot of seedpods that curl into spiral shapes – also ferns. Our planet is round, the seasons are cyclical, which means they are a circle. I think it’s just very natural that people all over the planet have always used circles and spirals as ornamental shapes in artwork – in ancient times as well as today. I actually tried out rectangular and triangular patterns in the snow, but I didn’t like them very much, because they didn’t integrate into the landscape as well as circular shapes did. 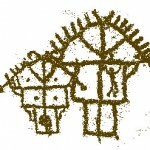 I did some research a while ago for a different project, about ancient sun symbols. 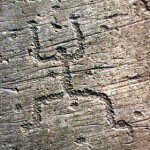 It was the same here: many different people, in all parts of the world developed very similar symbols to represent the sun”. And now again the voice of the archaeologist. The contemporary artist’s statements are very interesting, they were detailed in explaining how the art was created, and profound in exposing ritual and other meaningful asides. 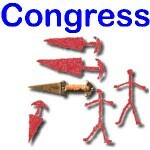 May we apply a similar capacity to the prehistoric engravers? I think, partially, yes. First of all, the comparison suggests something in common as regards the way of completing the sketches. In both cases a sort of preliminary project is needed: a composition of circular patterns should be the lead into the mind of the performer, whatever the scale. 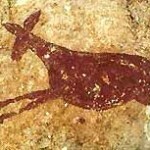 This doesn’t exclude, in the ancient case, the opportunity of depicting something real or symbolically real. What’s more, in both cases the drawing seems to be better performed by first completing a circular element, made of concentric circles or spirals, and then going on out of it, from its centre, through a straight line or path, until reaching the place of another circular element, and so on. 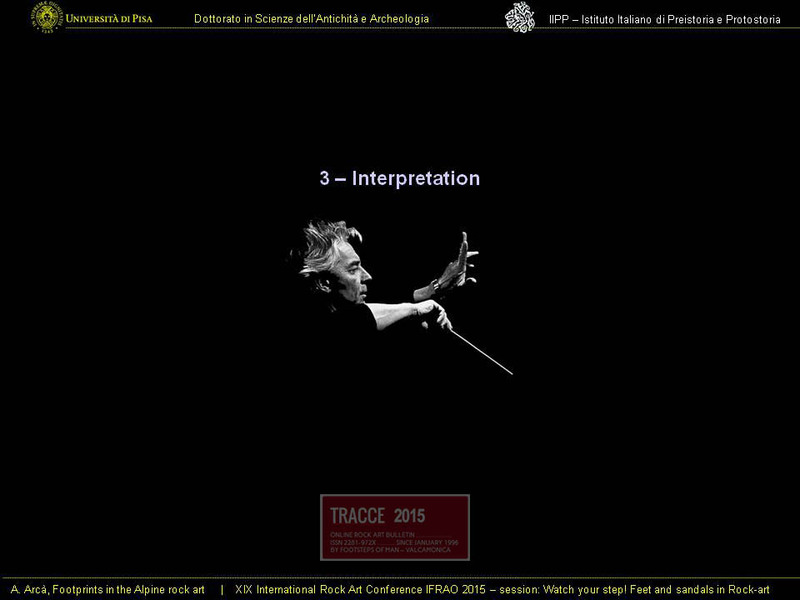 Next, the relationship with the landscape, again real or symbolical, should be considered. Contemporary “snowy” art lives only in the landscape, it is performed by “breathing” the landscape, by meditating upon it, it is the landscape itself. 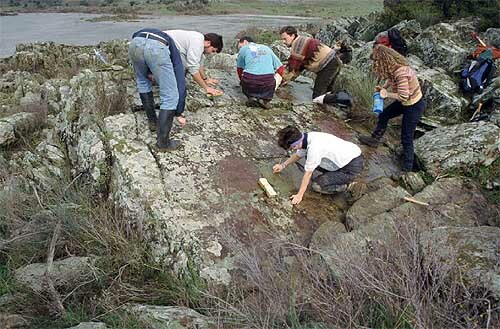 Even if we are forced to use the conditional, due to the uncertainty of the symbolic meanings of our ancestors’ fossil cultures, for prehistoric art a landscape connection shouldn’t be excluded: for the Galician concentric circles petroglyph the depiction of Bronze Age circular settlement units, joined by paths, has already been suggested. 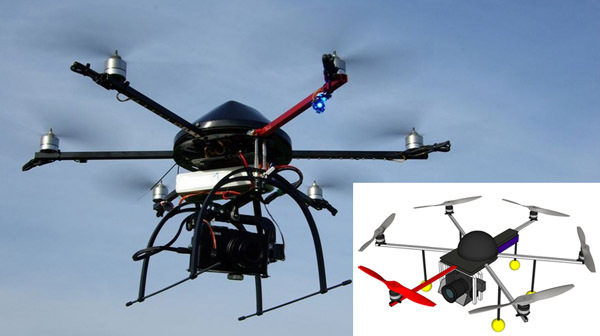 Regarding this point a detail must be emphasized: the best way of obtaining snow circle pictures is by the help of a flying camera, which takes aerial photographs while being carried by a hexacopter – a helicopter-like small-scale model with four to six rotors (which may be useful also in rock art recording…). 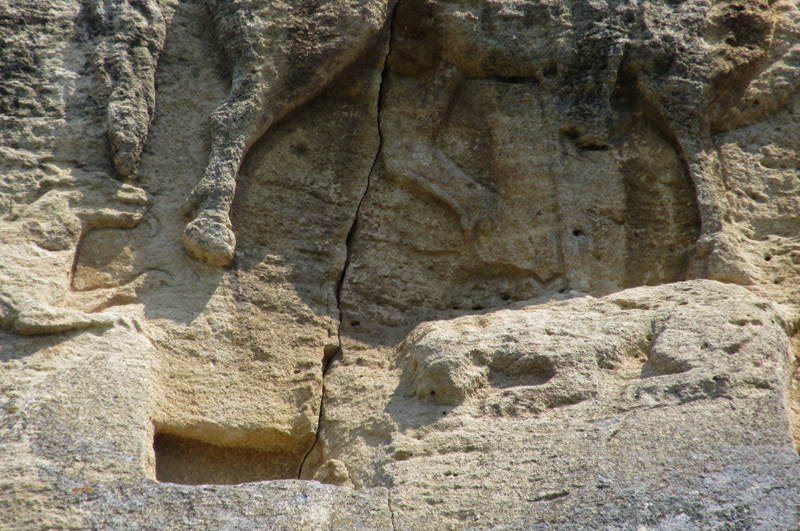 Moreover, the European petroglyphs seem to show a zenith point of view, which it is not impossible to obtain if one is viewing the surrounding landscape from an outcrop. It’s not the time, for the moment, of going further along the interpretive path. 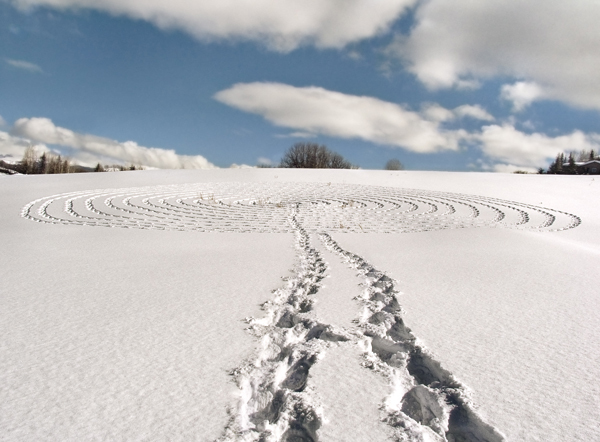 The depiction in the prehistoric compositions of some real recurring circular paths ritually performed on a field, maybe in the grass or even in the snow, is clearly a very remote supposition. 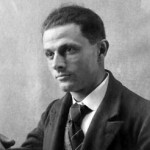 More simply, the idea of this paper has been to outline a rather curious similarity, to sketch out some basic hypotheses, mainly nature and landscape related, and most of all to beg for suggestions from the readers of this text, which we hope will be able in its turn to lead to some fruitful discussions. 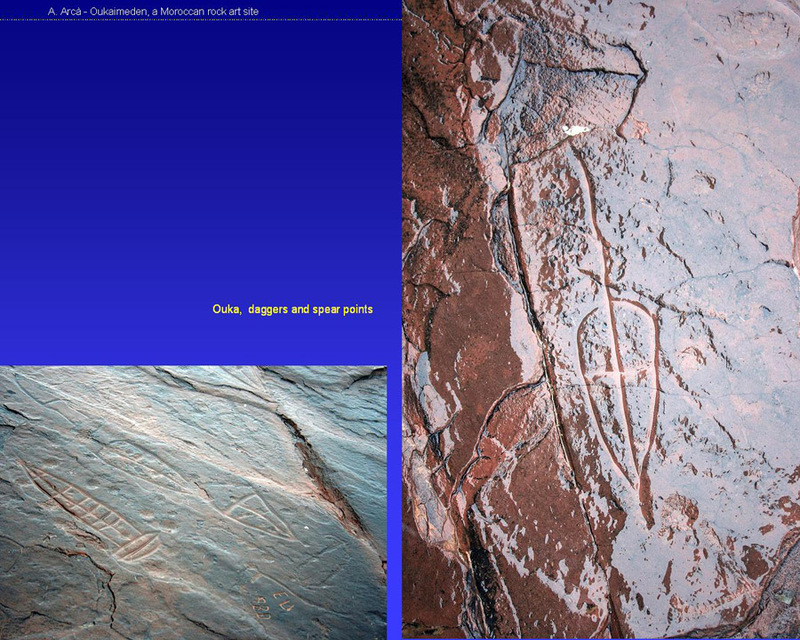 The concentric circles engraved in rocks thousands of years ago had a symbolic/ religious meaning to the original artist(s). 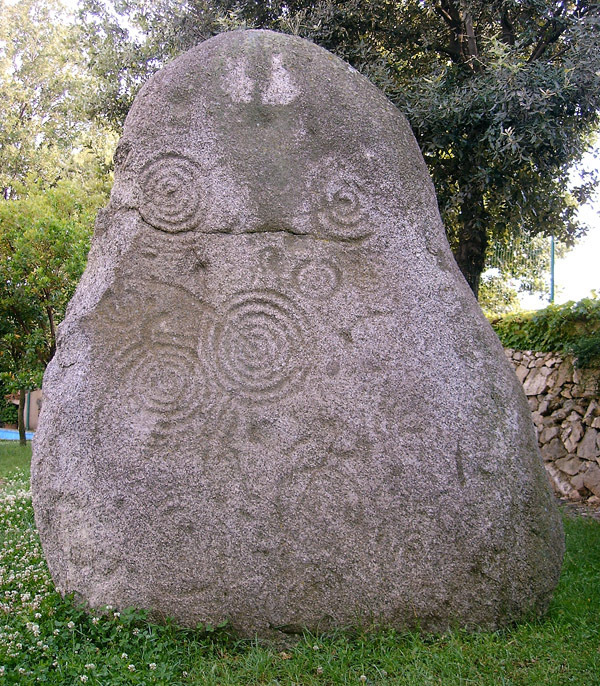 I believe spirals or groups of concentric circles represented the idea that several mythological worlds existed and surround the observer at that unique spot in the world. 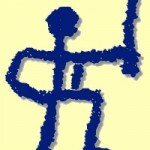 In the scheme of petroglyph circles, the center dot represents the middle-world, or the observer. Most art is viewed from a single-point perspective. Contrary to this fact,’snow-art’is ‘multi-prespective’ and can be viewd at different times, places and angles under almost any lighting conditions. On the contrary, the rock spirals and circles are the opposite. 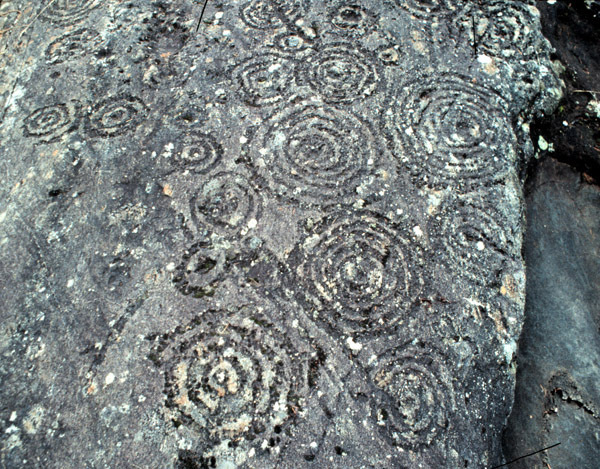 Each spiral or circle was made at a unique time and should only be seen from one point of perspective. 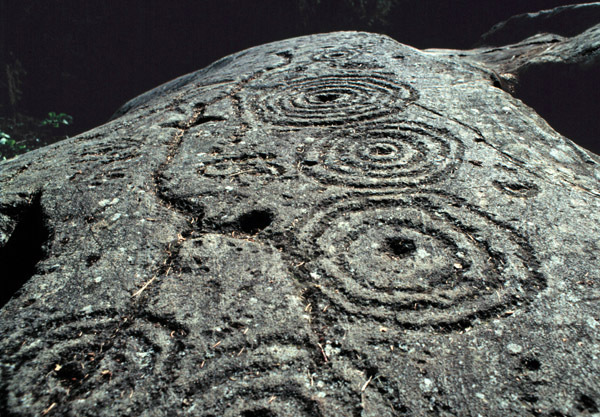 Unfortunately, the photographs of the rock spirals and circles were taken at the wrong time and position. 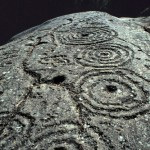 If an observer is there at the right time and place, the meaning of the rock spirals will be revealed to the observer.